Here is a sneak peak into my work bag for a day. As I am a teaching assistant by day i always have to carry with me extra little bits for my lessons, like the prompt jigsaw piece cards to help children with dyslexia and students books for marking, so you can assume that I have to take a large bag to work and you would be right. I have to carry a bag with me everywhere i go even if its to pop to the local shops. This what’s in my bag is a little boring because of the amount of paper work and bits and pieces but i do always love to carry with me a bright colourful notebook for when i have a few minutes to myself before lessons start so I can get planning my emails and posts. You are probably wonderiny why I carry around my ipod and iphone and not combine the two, but for some reason my Iphone refuses to sync to my Mac and itunes so alas if i want music I have to keep my iphone. 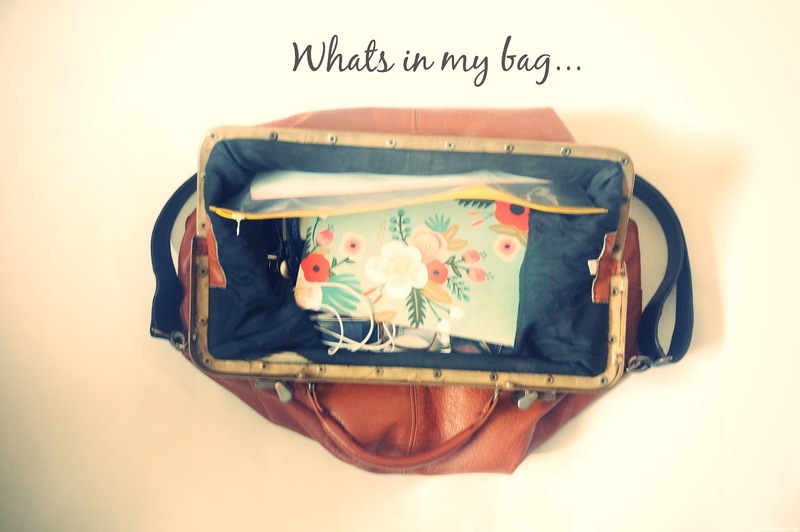 Have you done a what’s in my work bag post before…if you have it would be lovely to share with everyone…. Fist: i love your bag and your notebook!! I love noseying into other's bags and rooms etc. You take such pretty pictures Ella! Love the banner! 🙂 and your bag is so adorable! 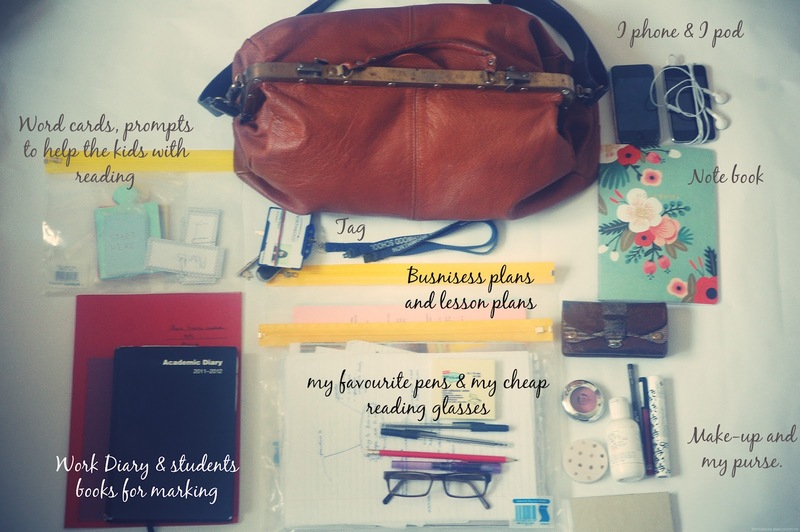 I always love 'whats in my bag' photos, as I'm incredibly nosey! I've done a 'what's in mt bag' post but it doesn't look as pretty as yours. I love the bag, is that the one from the car boot sale your sister got you? I love seeing what other people carry around in their handbags! Your bag is really nice. Your bag is really gorgeous!